When you’re building or growing a website understanding if your active users are trending up or down is a key success criteria for your growth strategy. 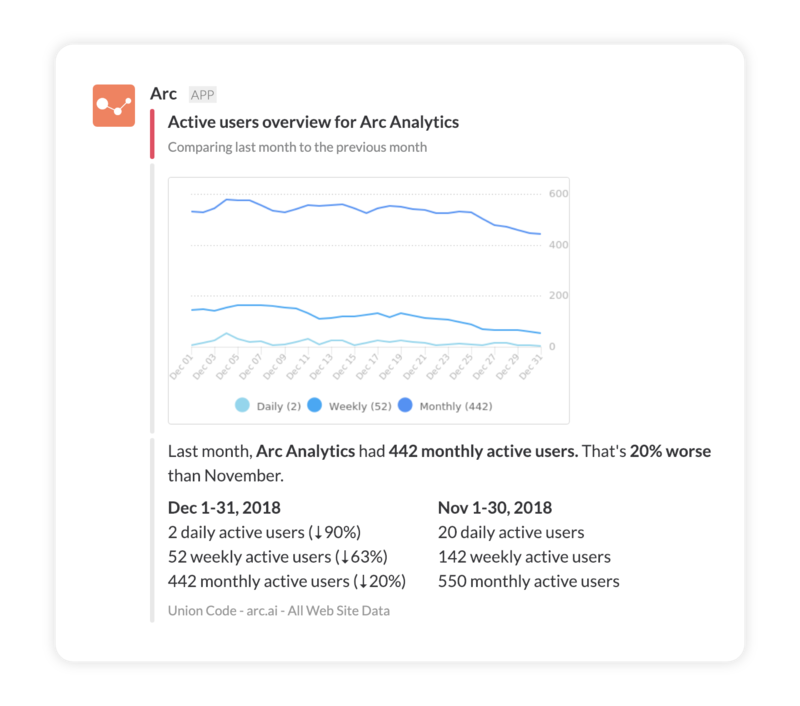 Now, Arc will share your active user trends in Slack so you can clearly see how you’re performing over the past day, week, and month! Arc delivers an informative graph that shows you how you’re trending and gives you specific numbers so you’re always on top of the details. Now your whole team can adjust plans or celebrate your progress together in Slack! To set up an Active User summary, log in to Arc and either add a new or edit an existing summary. Once you’ve got your Google Analytics account and Slack channel set up you can choose Active Users Overview from the Shown as drop down. You should now see a preview of the new Active Users summary! So that’s how Arc provides a clear view into your active user trends! Another small change with a big impact 👊.